The IBM 704 Computer (1954). The first mass-produced computer with core memory and floating-point arithmetic, whose designers included John Backus, formerly of IBM Watson Laboratory at Columbia University (who also was the principal designer of FORTRAN, the first widespread high-level language for computer programming), as well as Gene Amdahl (who would go on to become chief architect for the IBM 360 and later start his own company to rival IBM). The 704's 6-bit BCD character set and 36-bit word account for FORTRAN's 6-character limit on identifiers. 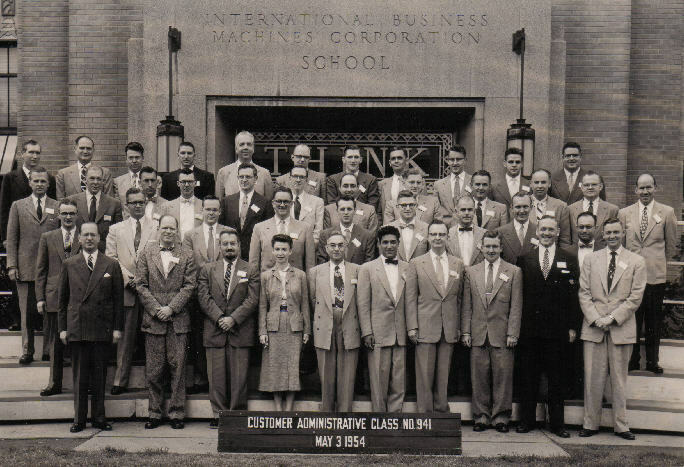 Photo: IBM, courtesy of Herb Grosch. Click for details and full-size image (1MB). 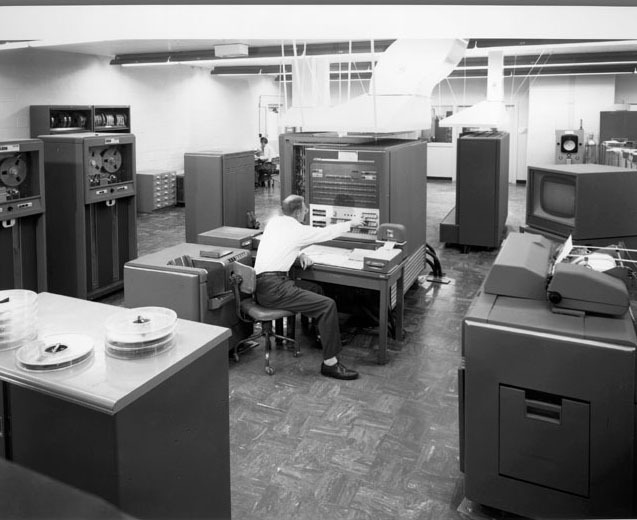 704 Data Processing System (IBM archive): history, architecture, details. IBM 704 Manual of Operation (first 39 pages of -1 version).